Shin Ding Cheng Enterprise Co., Ltd.
Aug 10, 2018 | By CENS | SHIN DING CHENG ENTERPRISE CO., LTD.
Shin Ding Cheng Enterprise Co., Ltd is committed to brake lining manufacturing, and is certified with ISO 9001:2015. It is applicable in multi-piston calipers. All products are TUV certified with the most advanced high-pressure density production process. METAL CARBON: thermal resistance is from 50℃ to 400℃. 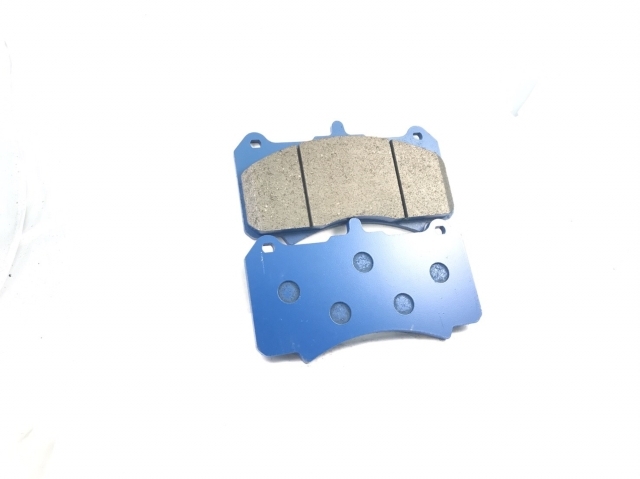 It is suitable for FF, and FG grade, used in general roads, provides a fairly stable braking performance and does not damage brake disk with more dust. It's durable for 25,000 kilometers and is suitable for any Asian automobile model. SEMI-METAL: thermal resistance is from 50℃ to 500℃. It is suitable for FF, FG and GG grades. It is used in mountain roads and does not damage brake disc with medium dust. It is durable for 20,000 to 40,000 kilometers and is suitable for heavy vehicles. COMPOSITES: thermal resistance is from 50℃ to 600℃. It's suitable for FF, FG, and GG grade. It's used in general mountain roads, does not hurt the brake disc with low dust, and is easy to clean. It will not adhere to the aluminum ring, and its linear property is best for SUV cars. It's durable for 25,000 to 40,000 kilometers. CERAMIC MATERIAL: thermal resistance is from 50℃ to 700℃. It's suitable for FF, FG and GG grades. It is used in mountain roads. The dust is easy to clean and will not adhere to the aluminum ring. The ultra-low dust will not damage the disk and increase the durability. It is durable for 30,000 to 60,000 kilometers. Ceramics lining does not include heavy metals, and its DTV performance is excellent. CARBON RACING: thermal resistance is from 100℃ to 800℃. It is suitable for FG and GG grades and mountain sports and track. It is used in high-end cars and racing tracks such as Rally Racing.